Los Angeles Motorcycle Accident Lawyer Report: The LA motorcycle accident attorneys at Riderz Law have a tragic accident to report from North Hollywood. Last week, a young rider on a late-model Ducati was severely injured on the northbound 101 near the Cahuenga Pass. According to California Highway Patrol, a white Ford F-150 changed lanes and struck the motorcycle rider, who slammed into the guardrail and was ejected from his bike. Despite crashing into the motorcycle and causing the accident, the truck never stopped. The rider suffered severe injuries and was rushed to a local hospital, where he is listed in fair condition. 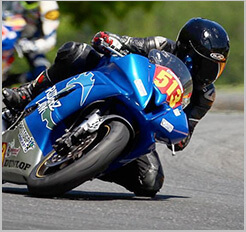 Our thoughts go out to this fallen rider and his family. 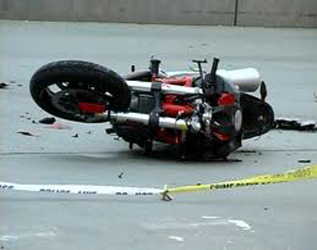 As a motorcycle accident lawyer in Los Angeles, I see the results of negligent drivers every day. As bad as negligent drivers are, however, hit and run drivers like the one in this case are a thousand times worse. If you have any information regarding the identity of this hit and run driver, please call our hotline. With any luck, this person will be caught and brought to justice. As always, we urge our clients and readers to ride safe and ride smart.